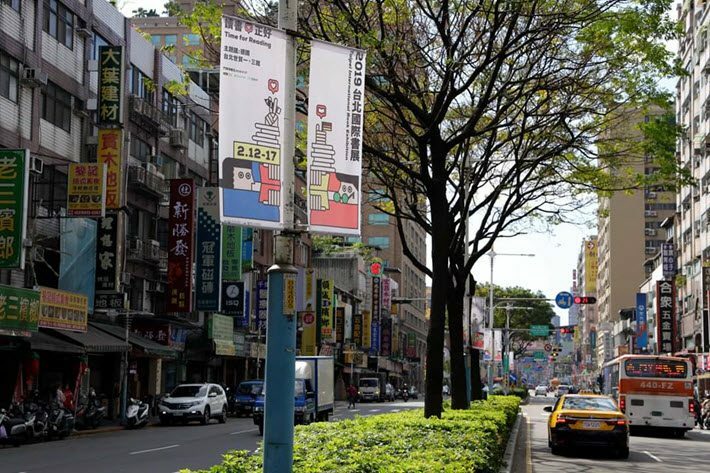 This year’s Taipei International Book Exhibition (TIBE) opens on Tuesday (February 12) and runs through February 17. As Publishing Perspectives has reported, the Guest of Honor this year is Germany, which will highlight the centennial of the Bauhaus movement as a lead element of its 414-square-meter German collective stand. Again this year, the Frankfurter Buchmesse has prepared a professional publishers’ program with an extensive agenda of issue-driven sessions and integrated workshops. The program, produced in collaboration with the Taipei Book Fair Foundation, is titled “Off the Page: From Voice to Platforms, From Bundling to AI. And as the opening of the 2019 book fair and trade show approaches, Publishing Perspectives has taken the opportunity to speak with James C.M. Chao, chairman of China Times Publishing and of the Taipei International Book Exhibition. 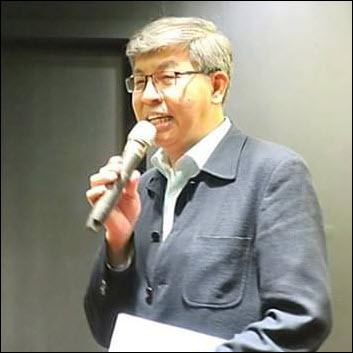 One of the advantages Chao brings to his work is that as chair of China Times Publishing, founded in 1975, he has extensive first-hand insight into what publishers need in both trade-show exposure and professional programming for success in Taiwan’s market and far beyond. We begin our exchange with him by asking what special features may be in place for this year’s events. As it happens, his answer will hold enormous resonance for publishers in many parts of the world who are wrestling with the unprecedented demands of contemporary life and entertainment, and the competition to books that this creates from the East to the West. Chao has themed this year’s exhibition, he tells us: Time for Reading. James C.M. 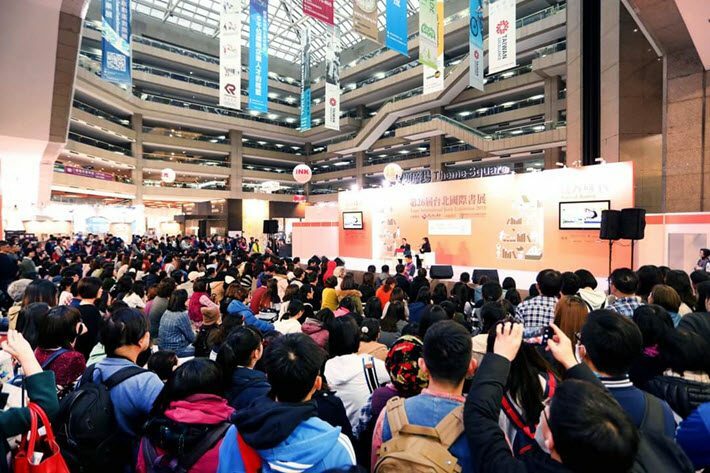 Chao: Taipei International Book Exhibition (TIBE) is not only a major annual event for Taiwanese publishers, but also the most vibrant book fair among the Chinese-speaking countries in Asia. The 2018 edition attracted more than 1,000 exhibitors from more than 60 countries, and held more than 1,000 activities and events. TIBE 2019 is themed as Time for Reading. The publishing industry is now facing a continual decrease in readership. Therefore, we hope to remind everyone of the importance and benefits of reading. The message we’re trying to deliver is that no matter where you are, what situation you’re in, and what problem you’re facing, every moment can be the right and good time to read. To promote this concept, we’ve invited people of different ages and positions to be the ambassadors of the book fair, including senior and young authors, high school students, a star, and a singer. We hope, under the wave of digital entertainment, people can still turn to books and discover the pleasure of reading. Publishing Perspectives: Is there any one new element of the show that you’re particularly proud of? JC: Our Guest of Honor for this year is Germany. 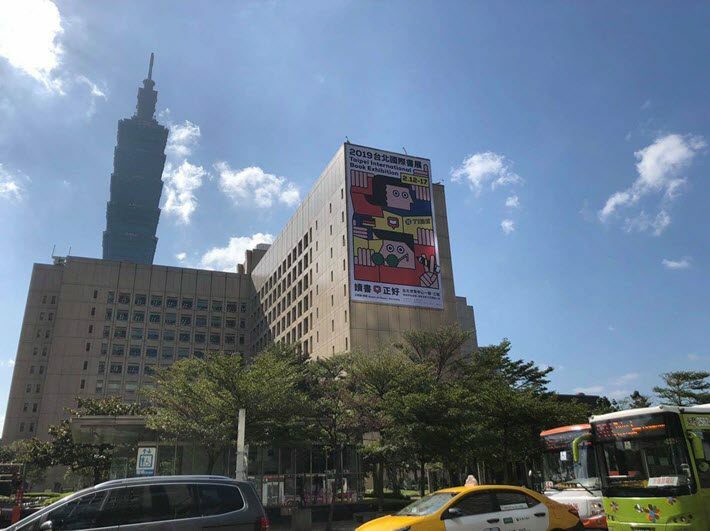 The program is organized by the German Institute Taipei, the Frankfurter Buchmesse, and Goethe-Institut Taipei, and it celebrates the 100th anniversary of the Bauhaus, presenting the classic with a fun interpretation. Also, the collective stand organized by Taiwan’s independent publishing houses and NGOs has been one of our major highlights in past editions. This year, with a larger stand and greater scale, they’re going to bring more surprises and share new ideas about the forms of publishing, including AI adaptation and interactive publishing. There’s also a program called “Roaming in Fantasy: A Creative Comic Collection Exhibition” that will combine AR and VR to showcase the outstanding creativity of Taiwan’s animation and comics. And in memory of the great Chinese wuxia [martial arts and chivalry] novelist Jinyong (1924-2018), the “Jinyong Teahouse” exhibition will present the precious manuscripts of his 30-million-word novels and an interactive game based on his works. What’s more, the “Taiwan/Bologna 30: Illustrators Exhibition” is going to present Taiwanese artists’ works selected by the illustrators exhibition of Bologna Children’s Book Fair in the past 30 years. Besides the exhibition, many speeches and talks are set to be presented by illustrators, all in a specially themed pavilion. PP: Could you update us on the Taiwan market this year? JC: The average sales of physical books and the number of bookstores both went down in 2018 in Taiwan. However, the numbers of new titles and publishing houses remain pretty much the same. What’s worth noting is that our total sales of digital publications grew by 30 to 50 percent. Nevertheless, digital’s total revenue still only accounts for less than 5 percent of the market share. Nevertheless, our numbers of exhibitors and stand units have both increased over the past few years. It’s primarily because TIBE has shifted its role from a retail show to a cultural festival that shares and spreads the joy of reading. Through activities, events, and space design, we create a fun and enjoyable atmosphere at the book fair. We believe the best way to boost the industry is to re-connect people with books, provoke their interests, and establish a reading habit. PP: What do you see as the biggest challenges to the publishing industry of Taiwan today? And are there ways in which the Book Exhibition are addressing some of them? JC: The biggest challenge for Taiwan’s publishing industry is still that people are spending so much time on their smart devices instead of books. The appeal of social media such as Facebook, Line, and Instagram have made Taiwanese consumers spend an astonishing average of seven hours per day checking their phones. This has seriously affected what they do during leisure time and decreased their interest in reading. Moreover, it even influenced their choices of genres and writing forms. Facing this, TIBE constantly promotes the pleasure and benefits of reading through various forms of exhibition. We not only provide book information and involve domestic and international authors, but we also create interactive experiences for readers through book signings, talks, and so on. Moreover, we hold our professional seminars and training programs for publishers to keep up with international trends and to learn new ideas. In the meantime, we cooperate with libraries and other institutions to hold reading activities in different corners of the city before and during the book fair. Books and authors are not the only main characters in a book fair. Readers’ needs and interests also matter. Only when there’s readership are there sales and a good environment for authors. It’s crucial that this positive cycle be rebuilt. More from Publishing Perspectives on the Taipei International Book Exhibition is here, and on China’s market is here.